The “Arab Spring” is known, among other things, for its achievements in breaking down stereotypes that the world had with respect to Arab women. Women took to the streets to protest alongside men – not just about issues plaguing their countries, but also about problems and discriminatory attitudes they faced because of their gender. Their demands were incredibly diverse in nature, ranging from equal representation in the political sphere, to greater access to education and equal economic opportunities. All these stemmed from rights and values that the international community (especially those in the West) could really empathize with. As spectacular and motivating as the beginning of the Arab Spring was, there is no doubt it proved that the concept of Orientalism (as explained by Edward Said) was alive and well in the West. Much of what was understood by those in the West was based on archaic notions and stagnant perceptions of people, culture and religions in the Middle East that were in line with Said’s analysis of the implicit belief that the West was superior to other regions in almost every manner, and that it was highly unlikely for other nations to advance in any area. Coverage of the events, especially where women were concerned, only focused on the growing participation, and not on the actual issues they were rallying around. Thus the goal of Arab scholars and educators has been to move past the generalized concept of these antiquated images and focus on holistic perspectives that encompass the plethora of complex Middle Eastern issues that have been the center of national and international debate. Probably the most important theme that is debated by and large – and certainly the most prevalent topic at CSW57 – is violence against women. It is a well-known fact that women’s bodies become tools of war in times of political change. Unfortunately, as participation by women in protests increases, so does the violence against them. The roles that states take on become crucial. If there are no policies in place to hold individual perpetrators accountable for their actions, it is understood that the state and its authorities (including police and military) are indirectly complicit with this behavior. This becomes an additional way to instigate fear and insecurity within the opposing population. Other topics of discussion at CSW57 included economic injustice (one of the most significant reasons for women’s involvement in the Arab Spring) and equal representation in politics. Women wanted to be able to control the outcome of their respective futures, but with the limited options available, they had to forgo any real attempts at seizing opportunities, and were forced to rely on the males of their families to support and provide for them. One of the panelists suggested a possible way for how frameworks could shift their focus from economic development to economic justice. Equal representation in politics requires a certain framework for understanding issues. In the case of the Arab Spring, the revolutions are occurring specifically because the systematic policies already in place have failed the national populations, and people are calling for change and reform at the foundation. For this reason, talk of equality is not sufficient anymore, as basic policies are deeply defective from the ground up. Thus the standard for democracy should be reconstructed from the very beginning; then the matter of equal participation by women would actually be of substance. It’s difficult to measure successes in these areas. As an expatriate of a post-colonial country, I believe these issues pertain to an incredibly large population of the world, even so far as some Western nations are lacking in fair treatment and representation of their women. Thus it is important to pay attention to the events that occur in the Middle East, to learn from the examples of individual nations dealing with unique issues, and to scrutinize their policies to create better societies. 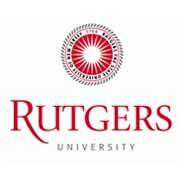 The opinions expressed are those of the author, and do not represent the opinions of Rutgers University or the Division of Global Affairs. graduate program, DGA hosts students and faculty from around the world who help create a truly global discourse. A Path to Democracy for Egypt? Genocide Denial Bans: What Would Raphael Lemkin Do? Billet: Intervention in Syria – Too Little, Too Late?